The career of Cora Urquhart Brown-Potter, born in New Orleans, is fascinating. She married a New York City socialite, James Brown-Potter in 1877 and immediately became one of the most popular and active members of the New York “set.” She often was invited to parties because she was accomplished at recitation and would entertain after dinner with her declamations. She decided that perhaps her real vocation was on the stage, but that was certainly not a profession for a woman of her social status and wealth. The stage still had something of the stigma of “looseness” about it. Cora left her husband and children, all of them disapproving of her decision to enter acting, and moved to London in 1886; her husband divorced her in 1903. Meanwhile, she embarked on her career and was no less social and popular than she was in New York. She associated with a crowd that included the Prince of Wales, and she dedicated a book of her poetry, My Recitations, to her friend Robert Browning. The Brown-Potters were instrumental in naming and accidentally creating the fashion we now know as the American tuxedo. 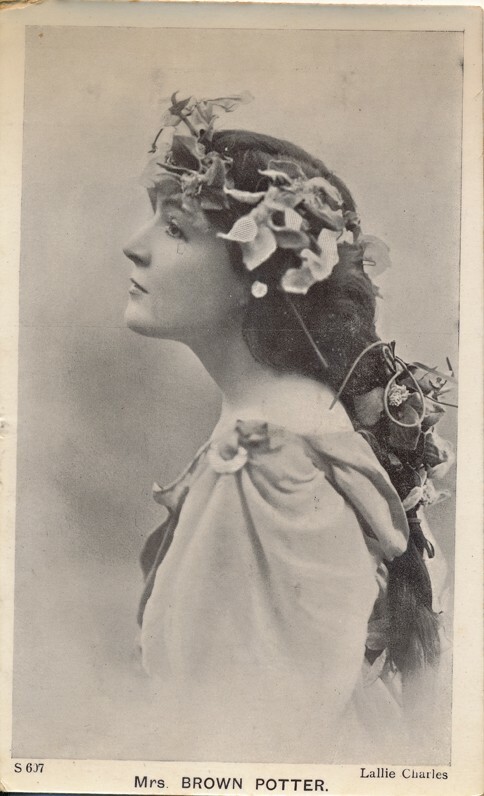 In 1898, she joined the company of Herbert Beerbohm Tree where she was given a number of important roles. Her two best received parts in Shakespeare were as Juliet and as Cleopatra. Oscar Wilde, impressed with her talent, offered her the leading role in his 1894 play Salome, but she turned it down; she said she had little sympathy for the character. For a brief time, she went into theatre management at The Savoy in London in 1904, but the venture left her bankrupt a year later. She retired from the stage in 1912, and gave one last charity performance in 1919. The final assessment of her career and her ability as an actress was that she was certainly competent at her craft and willing to sacrifice everything for it, but was never truly outstanding on the stage.